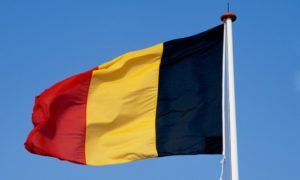 The Mars Society, its staff and membership wish to extend their thoughts and prayers to the people of Belgium following today's horrific terror attacks in Brussels. The two incidents in Belgium hit close to home for part of the Mars Society family, with Crew 166 (Mission to Mars UCL), made up of six Belgian university students, currently working at the Mars Desert Research Station in Utah. The crew was notified of the attack this morning by MDRS Program Director Shannon Rupert. Commenting on her talk with the Belgian team, Ms. Rupert said, "Our current crew is a group of university students from Belgium. The looks on their faces when I told them their country was under attack will stay with me for a while." Later in the day, the crew informed MDRS Mission Support that they intend to continue with their two-week long Mars analog, with one crew member sending the following note: "We are saddened by the terrorist attack in our country, and we are addressing our condolences to all the families of the victims. Despite this attack, we will remain on Mars until the end of our mission." If you would like to leave a note of condolence for Crew 166 in the coming days, please post a comment on the MDRS Facebook page.